The stereo component amplifier assembly receives a vehicle speed signal from the combination meter assembly to control the ASL function. A voltage of 12 V or 5 V is output from each ECU and then input to the combination meter assembly. The signal is changed to a pulse signal at the transistor in the combination meter assembly. 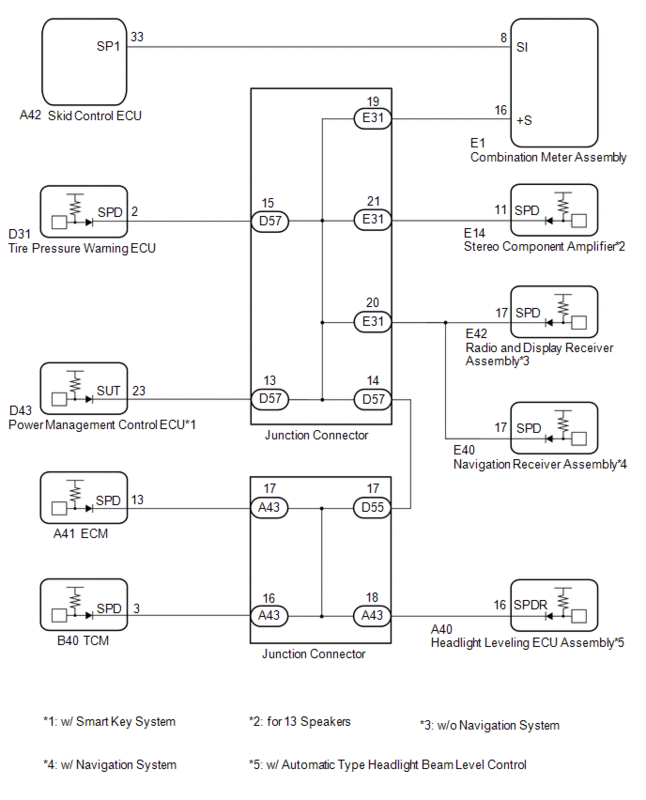 Each ECU controls its respective systems based on this pulse signal. If a short occurs in any of the ECUs or in the wire harness connected to an ECU, all systems in the following diagram will not operate normally. (a) Check the output waveform. 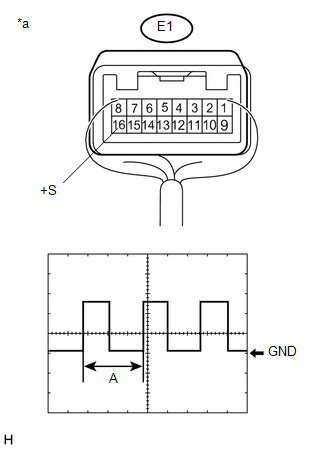 (1) Remove the combination meter assembly with the connector(s) still connected. (2) Connect an oscilloscope to terminal E1-16 (+S) and body ground. (4) Turn a wheel slowly. (5) Check the signal waveform according to the condition(s) in the table below. The waveform is similar to that shown in the illustration. (1) Remove the stereo component amplifier assembly with the connector(s) still connected. 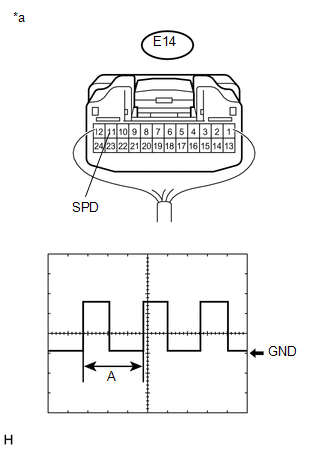 (2) Connect an oscilloscope to terminal E14-11 (SPD) and body ground. (a) Disconnect the E14 stereo component amplifier assembly connector. (b) Disconnect the E31 junction connector. (a) Disconnect the E1 combination meter assembly connector.